Fibromyalgia is a chronic musculoskeletal condition characterized by generalized pain or pain at tender points. In the United State, approximately 5 million people are suffering from this disease. Fibromyalgia affects people of all ages with largely affecting middle-aged people and women. It is a very common and highly research disorder. Yet, the actual reason for the disease is still unknown. What are the Symptoms Associated with the Disease? Fibromyalgia disorder is generally characterized by severe pain, stress, depression, headache, disturbed sleep, etc. Pain is a characteristic feature of fibromyalgia. The pain can be widespread all over the body or may be present at specific locations referred as tender points. The pain is too deep in the muscles with burning and sharp sensation. Fibromyalgia sufferers experience difficulty while sleeping and wake up many times due to severe pain and restlessness. The patients feel exhausted and tired. The intense musculoskeletal pain drains out all energy from the patient’s body that makes him/her feel depressed. 40-70% of fibromyalgia patients suffer from irritable bowel syndrome that includes diarrhea, constipation, and gas. Approximately 50% of the sufferer experience skin sensitivity to temperature fluctuation, noise, medications, etc. Many patients suffer from memory problems also called as fibro fog. Other symptoms such as dizziness, stiffness in legs, anxiety, etc are also seen in many fibromyalgia patients. Women have yet other symptoms such as pre-menstrual syndrome (PMS), pelvic pain, etc. How to Deal with Fibromyalgia? There are medications available to treat the symptoms of the disease and not the disease itself. No cure for fibromyalgia is available till date. Pain-killers, anti-depressants, and other drugs are prescribed by doctors and physicians. Why a Fibromyalgia Sufferer Experience Weight Gain? Another most interesting problem that fibromyalgia patients suffer is an increase in their weight. Many fibromyalgia sufferer experience weight gain with putting on almost 25-30 pounds extra in the first year of diagnosis. It is still not clear as to where this weight gain comes from. Some researchers comment that in fibromyalgia, the hormone leptin which is responsible for appetite signaling may send false hunger messages to the brain and make the patient eat more. Other researchers suggest that thyroid may also become dysfunctional leading to slowing down the ability of the body to burn calories and thus weight gain. The medicines prescribed for treating the symptoms of fibromyalgia may lead to weight gain as their side effects. These medicines, alter the hormones, decrease metabolism and increase appetite. 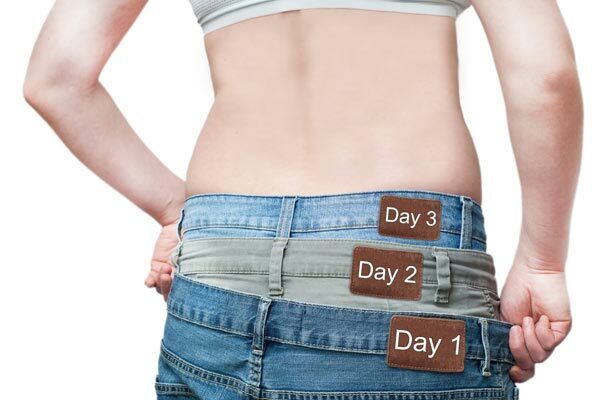 Decreased metabolism means slower numbers of calories are burned on daily basis and thus potential weight gain. Studies have shown that the various hormones such as thyroid, serotonin, etc) are responsible for decreasing the rate of metabolism. Researchers have found that fibromyalgia and thyroid autoimmunity are linked to each other. Insulin also plays a great role in weight gain. Fibromyalgia can cause more insulin activity that leads to more weight gain. Due to severe pain all over the body, the sufferer feels too stressed and fatigue that lowers the physical activity. The patient feels like he has no energy left to even do his daily tasks thus decreasing the physical activity. Many studies have suggested that disturbed sleep is also related to increasing body weight. Sleep deprivation leads to increased appetite, alter metabolism. Decrease energy usage. 50% of the fibromyalgia patients suffer from IBS. A study conducted in U.K. suggested that chronic pain and inflammation can also be linked to weight gain. How can Exercise Help in Weight Loss? Exercise is always helpful to everybody. Everyone should take out time from their busy schedule and do some physical activity. Exercise can certainly help in maintaining the proper weight even if a person is a fibromyalgia patient. It is regarded as a therapy for fibromyalgia. Exercise increases the physical activity that boosts energy in the body and burns calories. Aerobic exercises such as walking, swimming and cycling three days a week can help fibromyalgia sufferer for treating the disease and in decreasing pain. There are many studies that prove exercise to have a positive effect on the fibromyalgia patient. Due to excessive pain, it is very hard for some fibromyalgia patients to convince for any type of exercise. Severe pain makes the daily activity very difficult to manage to lead to very less or no physical activity. This leads to obesity, which by itself is a disease. Regular exercise not only keeps people in shape but it also reduces sleep disturbances, stress, and fatigue. Physician or doctors should always motivate fibromyalgia patients for any physical activity such as yoga, aerobics, stretching, etc. Of all the types of exercises available, aerobic exercise is most recommended one. It is advisable to start with 5-10 minutes of walking or cycling and then gradually increasing the intensity of the exercise and work out. The exertion of any type should be avoided during exercise because it might increase pain. Aqua exercises can also prove beneficial workout and may reduce stress on joints. Beginning with a low-intensity exercise and gradually increasing speed helps burning more number of calories. If a patient has a positive approach to regular exercise, he/she can make his/her life better to live even with fibromyalgia. A fibromyalgia patient should always consult a fitness trainer and his/her physician before starting any exercise because any wrong move can increase the intensity of the pain. According to a study published in the Archives of Physical Medicine & Rehabilitation, there is a strong relationship between physical fitness and fibromyalgia. It was found that higher physical fitness levels were linked with less severe symptoms of the disease in women. Can Diet Help Fibromyalgia Sufferer to Reduce Weight? Diet plays an important role in everybody’s life and physical well-being. In case of fibromyalgia, planning a complete and healthy diet becomes extremely necessary. Various studies have been conducted to date to see the relationship between food and sufferings of fibromyalgia patients. Studies confirmed that food can be a reason for many skin allergies in the patient suffering from fibromyalgia. Avoiding food items that may contain allergens can be a solution. When it comes to obesity and fibromyalgia, the nutritionist should be consulted who can plan a healthy diet for the sufferer that help in reducing weight without getting any allergies. A food that is efficient in burning calories and that do not add too many calories are helpful in maintaining a correct body weight. Having three meals a day with a healthy snack keeps the weight under control. Eating good protein such as lean meat, skinless chicken, fish, eggs, dairy products, and legumes can be beneficial. All vegetables are a good source of good carbohydrates that have a high fiver and very low sugar content. Eating vegetables, fresh fruits and eating plant oils such as olive oil can help in obesity. Fruits and vegetables are rich in antioxidants that help in fighting against diseases. Turmeric and ginger are natural antioxidants and anti-inflammatory in nature. Consuming these on daily basis an help in reducing pain and skin diseases. Avoiding deep fried, oily food, preserved and packaged food and sweetened beverages can help in reducing any extra calories. Having very light dinner early in evening helps in getting proper sleep at night. How Alternative Therapies Help in Reducing Weight? Alternative therapies such as acupuncture, relaxation, meditation, deep breathing, etc have been proved to reduce pain in fibromyalgia patients. These approaches also reduce stress, fatigue, depression and enhance sleep. These are non-medicated therapies that relax the body and fills body and mind with positivity. For some patient massage therapy works a lot. It strengthens the muscles and tones the body. It reduces heartbeat rate, anxiety, fatigue and relieves pain. Meditation also helps in keeping the body and mind relaxed and helps in reducing anxiety and depression. The stress-free body tends to work out well and feels motivated. Moist heat and moist heating pads are also known to burn fat and also relieve pain and anxiety. Losing weight can be a big problem for any individual if it is not dealt with correctly. Fibromyalgia sufferer might think it to be next to impossible with severe and crippling pain all over the body. But, if tried with full determination and positive mindset it is not that hard to achieve. Losing excess fat with correct diet plan and clean eating, doing regular exercise and feeling positive all the time helps to reach the goal sooner. Changing lifestyle to a healthy and cleaner one helps doing most of the daily activities even with fibromyalgia. Eating clean and healthy carbohydrates, avoiding gluten and sugary products help maintain a sound body. Regular exercise even for 15 to 20 minutes keeps the body active and full of energy. Thus it is never late to start working out for your own self. Burning extra fat reduces pain and sleep restlessness by itself. I don’t even know how long I suffered with fibro before being diagnosed in 2006. I am so glad my rheumatologist wasn’t a pill pusher. She told me the best way to manage fibro was to eat right, get enough rest and exercise regularly. I now eat a paleo diet and the difference is amazing. When I was diagnosed I had every pressure point. Now I rarely have any and haven’t had a serious flare in years. This is good for me because I also have medication sensitivities and have had many bad reactions. I pray this helps someone, I only wish I had found out about how grains cause inflammation a long time ago and gone paleo.